Thug Life 2017 Punjabi movie striking features are humor, songs and action just similar to other Punjabi movies and is also a debut Punjabi film for Vrajesh Hirjee who is a very well-known comedian of Golmal Movie. This film is based on the Punjabi traditions and customs, and thus people could watch Thug Life with their family. Star Yograj Singh and Vrajesh Hirjee are also playing significant roles in this film. Thug Life movie cast comprises Harish Verma, Rajiv Thakur, ihana Dhillon, Jass Bajwa, Yograj Singh, Anita Devgun, Vrajesh Hirjee, Hobby Dhaliwal, Hardeep Gill, Harinder Bhullar and Simran. Rana Jung Bahadur is playing the role of villain in this film. 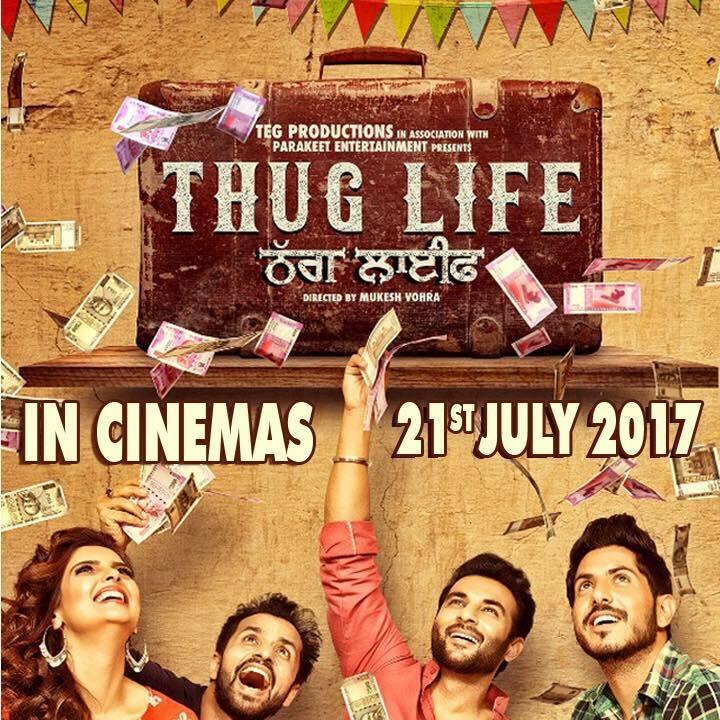 The storyline of Punjabi movie Thug Life is based on three boys, and a girl is in a chase of success and financial freedom. They plan to blackmail recognised and reputed people in order to extort money from them. Though, they soon stumble upon a plot that could harm a lot of community. In their effort to save the people, the boys hit upon themselves amid a sequence of problems, which leads to them being tagged as terrorists. The boys then set out to confirm their virtue and to carry the conspirators to justice. Thug Life Punjabi movie has in all five songs, and all songs have been sung by well-known Punjabi singers comprising Nachattar Gill, Jass Bajwa, Ammy Virk, Ranjit Bawa, Bhinda Aujla and Lehmber Hussainpuri. Overall the storyline is well written and most of the jokes are sure to tickle your funny bones. 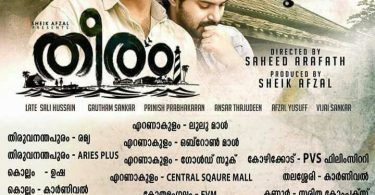 Overall the movie is an interesting one time watch.